Celebrate the 35th anniversary of Ghostbusters on the Sony lot with the Ghostbusters creators, talent and crew! SONY PICTURES AND GHOST CORPS CELEBRATE GHOSTBUSTERS DAY TODAY AND KICK OFF PLANS FOR TWO YEARS OF CELEBRATIONS. Among the treats launching today on the website is the original four-minutes of test footage for the animated series “The Real Ghostbusters”, now restored and in high definition by Ghostbusters superfan Robert Barbieri. 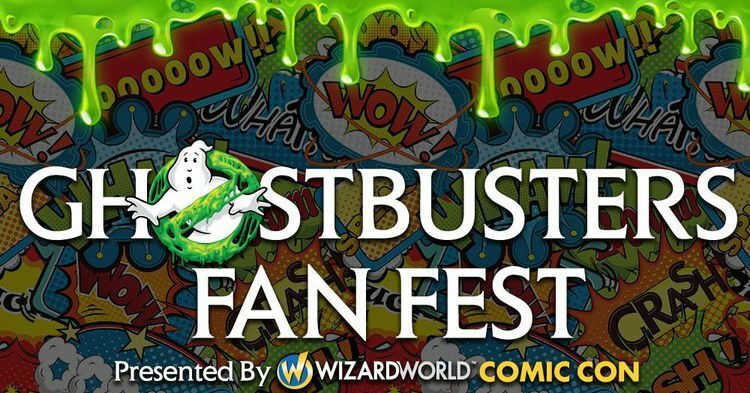 Fans can register for e-mail updates at the site and follow @ghostbusters on Facebook, Twitter, Instagram, and other social media services to keep up to date on Ghostbusters events, news, charity offers, and more. Later this year, fans will be able to play the **Ghostbusters World** augmented reality game. A collaboration between Sony Pictures Consumer Products, Ghost Corps, publisher FourThirtyThree Inc. (4:33) and developer Next Age, the game enables players to battle and capture hundreds of ghosts from all dimensions of the franchise, including the films, TV shows, comic books, theme parks, and video games. It features the latest in AR and other mobile technologies and differentiates itself with skill-based gameplay. Fans visiting San Diego in July will be able to experience the game’s first public demo build and booth at The Experience at Comic-Con at Petco Park. Beginning this fall, musical Ghostbusters fans can attend Ghostbusters Live, produced by Schirmer Theatrical – special screenings of the 1984 classic with live accompaniment by symphony orchestras around the world, conducted by Peter Bernstein, the film’s original orchestrator and son of iconic composer Elmer Bernstein, who wrote the film score. Today, the studio announced that Ghostbusters Live will be staged in such cities as Los Angeles, New York, Toronto, London, and Dublin, and many, many more to be announced. Fans can find links to a complete schedule at www.schirmertheatrical.com/shows/ghostbusters.